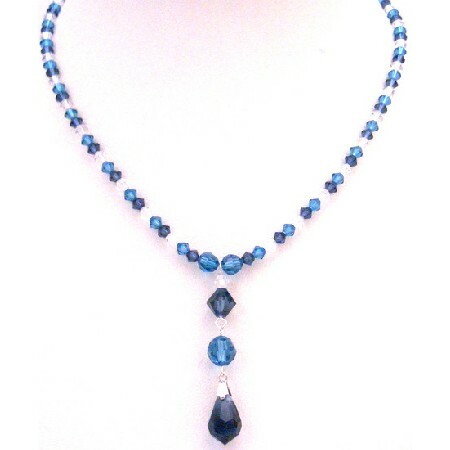 This absolutely gorgeous & Make your own bold statements with this tricolor Indicolite Clear & Night Blue with Night Blue Teardrop necklace Let us inspire your inner beauty with our fine jewelry crafted from Swarovski crystals. We do carry matching earrings & bracelet Live for chic fashion jewelry perfect piece for you. always give the impression of being thoughtful & expressive.